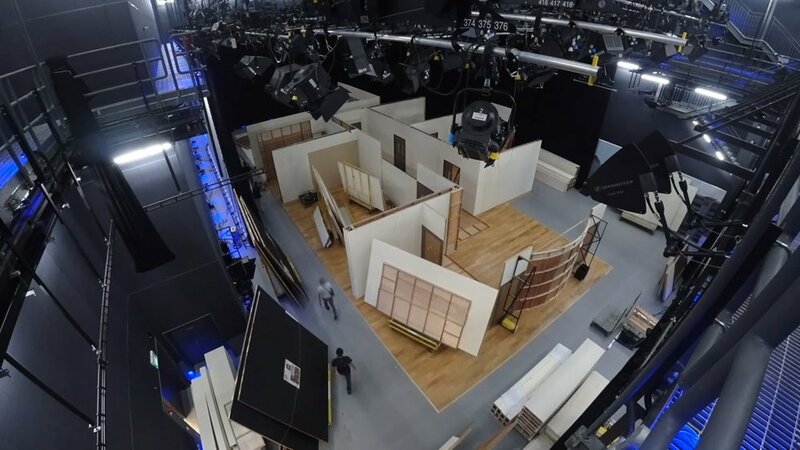 Remember the time-lapsed video of the drama, "Life Less Ordinary" studio set-up? It seems like it was not too long ago when the first episode aired on Channel 8, but the drama has just recently ended on the 30th of March 2018 with the last episode (EP130). As the saying goes, all good things must come to an end. As soon as the filming has ended for "Life Less Ordinary", our crew scrambled to prepare the set for our next long-form drama. The new long-form drama is titled "Reach for the Skies", and it will be taking over the same time belt that "Life Less Ordinary" used to occupy. "Reach For The Skies" also took over the space in Studio 2 with a neighbourhood mini-mart and an enrichment school set up. The setting up of a studio set is a task that requires many hours of hard work and close attention to details. The setup of "Reach for the Skies" is no exception, and we have also recorded the action in studio 2. Watch the video below of the construction in time-lapse! Reach For The Skies (不平凡的平凡), is a story that centres round the inhabitants of small neighbourhood who work in an enrichment school and a mini-mart. It features characters from all walks of life, including an ex-criminal, middle-aged workers who lost their jobs to technology, and an elderly leading a disillusioned life. Can there still be hopes and dreams for these everyday folk who live at the very edge of society? A lighthearted drama bursting with colourful characters, watch how Zhong Ling (Pan Ling Ling) the founder of Hope Enrichment school, and Hong Da Cai (Kym Ng) the boss of mini-mart ‘Tian Tian Lai’, deal with everyday situations and manage their own love life. Designed by Senior Art Director, Chen Jia Gu, the set took about 2 weeks from the striking of "Life Less Ordinary" to the setting of "Reach For The Skies", including the light-up and decoration. The biggest challenge was dressing up the mini mart with close a thousand items to make it seem realistic. It was a great challenge, but we were very happy with the end result. For more stories on what goes on behind the scenes in our Mediacorp Studios, stay tuned to our website! Camera: Kuek Swee Poh, Lim Chye Hoe, Tan Toh Chuan, Sng Jui Kia, Yeo Poh Boon. Sound: Phua Kia Eng, Leo Chin Ho, Sim Wee Min, Koh Yee Chuan, Henry Wong. For enquiry on Studio Rental, click here. For information on Set Design, click here.